Our resort is on the shores of magnificent Quesnel Lake in BC and we need HELP for the 2019 season. My husband and I run the resort. We have 5 cabins, a luxurious "glamping" tent , 50 RV sites, a Cafe and a 35 slip marina. We are completely off-the-grid, so it truly is a get-away and wilderness experience. If you like to spend some time in a wilderness setting away from city life and the main stream of tourism and enjoy a variety of work, from dealing with guests, landscaping, boats, painting, carpentry work, to chopping firewood and much more (you have the use of a fishing boat to explore the lake) you will love it. 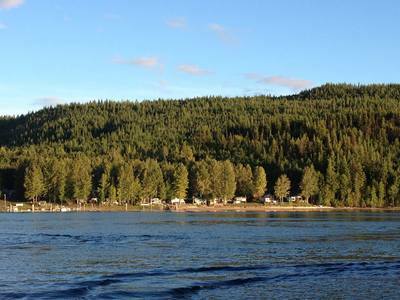 Our resort is in the Caribou Region of British Columbia, near William's Lake.